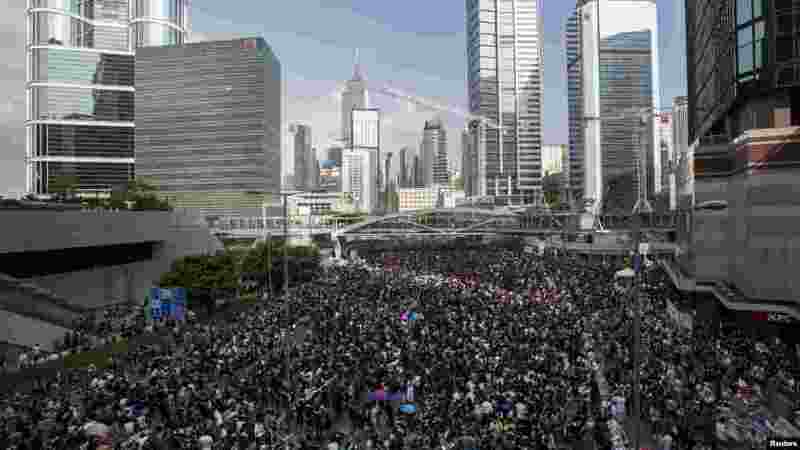 Pro-democracy demonstrators defied onslaughts of tear gas and appeals from Hong Kong's top leader to go home, as the protests over Beijing's decision to limit political reforms expanded across the city early Monday. 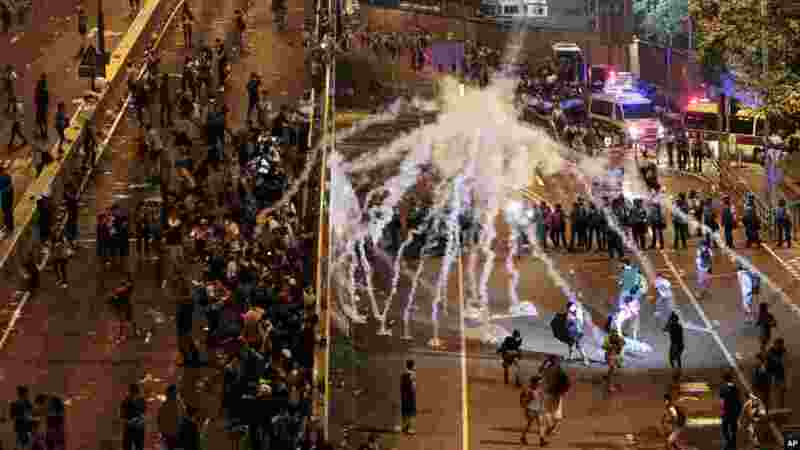 1 Riot police fire tear gas on student protesters occupying streets surrounding the government headquarters in Hong Kong, early Sept. 29, 2014. 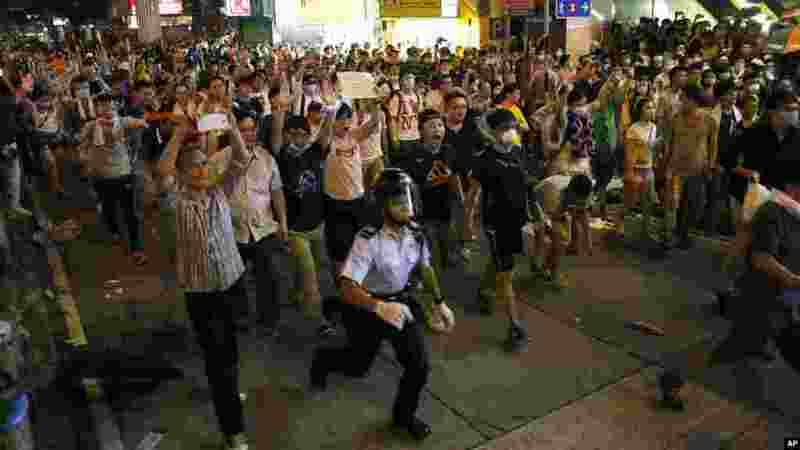 2 Student protesters mixed with expatriates cause police to retreat in an entertainment area in Hong Kong, late Sept. 28, 2014. 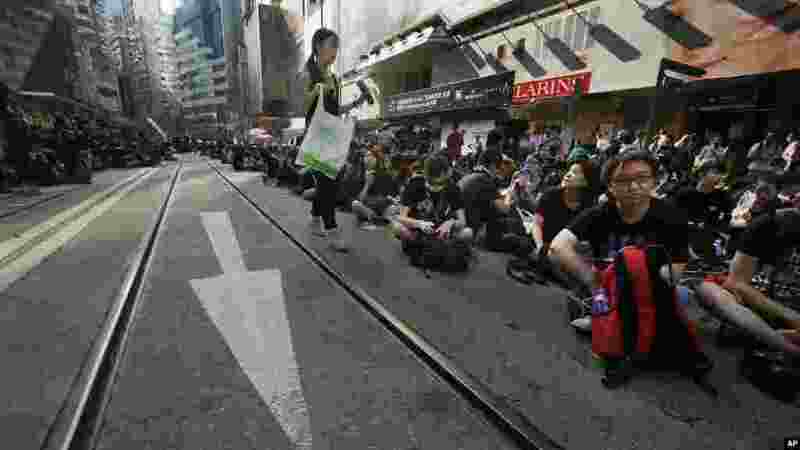 3 Protesters block the main road to the financial Central district in Hong Kong, Sept. 29, 2014. 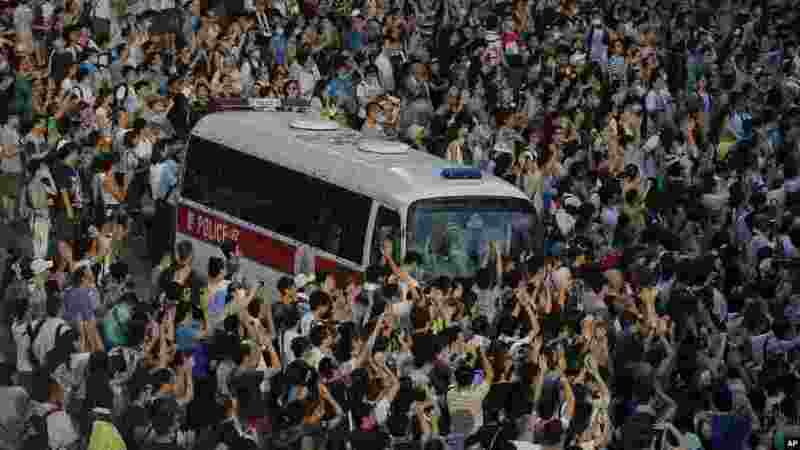 4 A police car is blocked by protesters after thousands of people block a main road to the financial Central district outside the government headquarters in Hong Kong, Sept. 28, 2014. 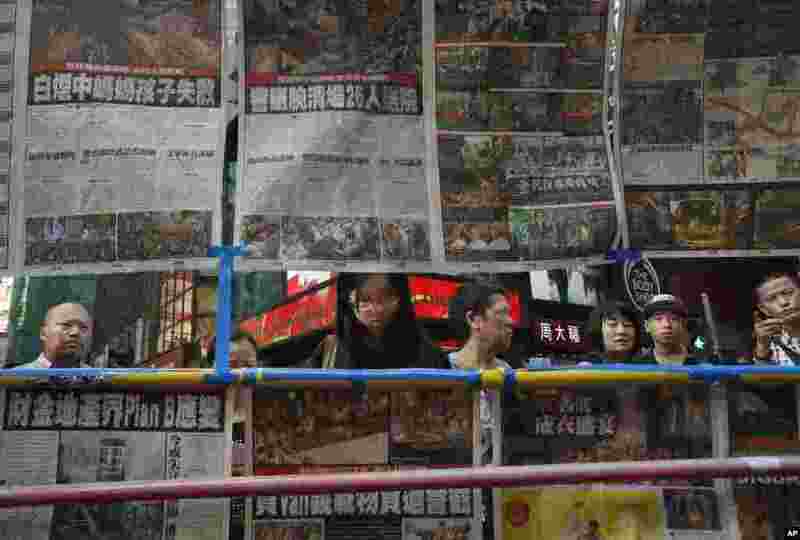 5 Visitors view the latest newspaper coverage of clashes between protesters and police at a sit-in protest in Hong Kong, Sept. 29, 2014. 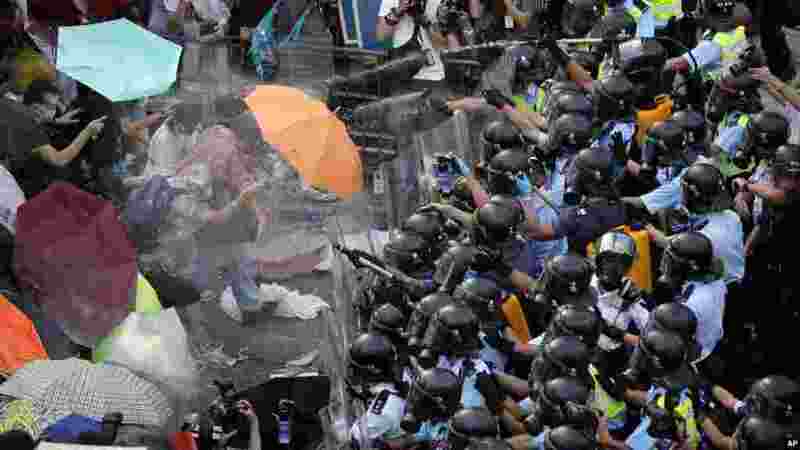 6 Riot police use pepper spray against protesters after thousands of people block a main road to the financial central district outside the government headquarters in Hong Kong, Sept. 28, 2014. 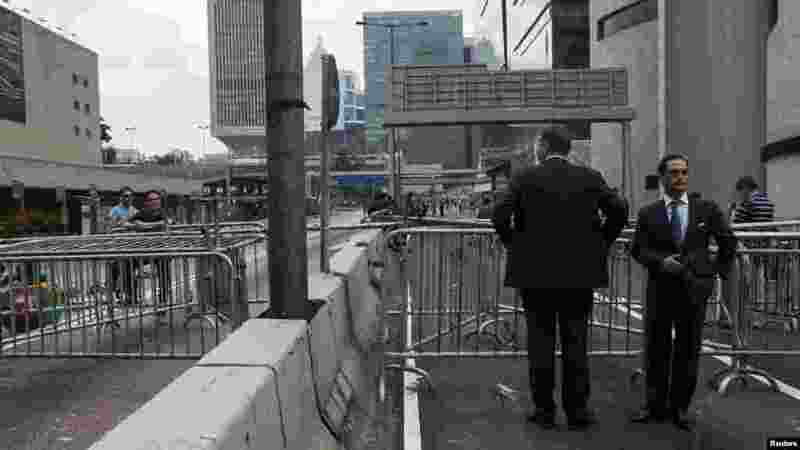 7 Businessmen stand in front of a road block set up by protesters at the main street of the financial Central district in Hong Kong, Sept. 29, 2014. 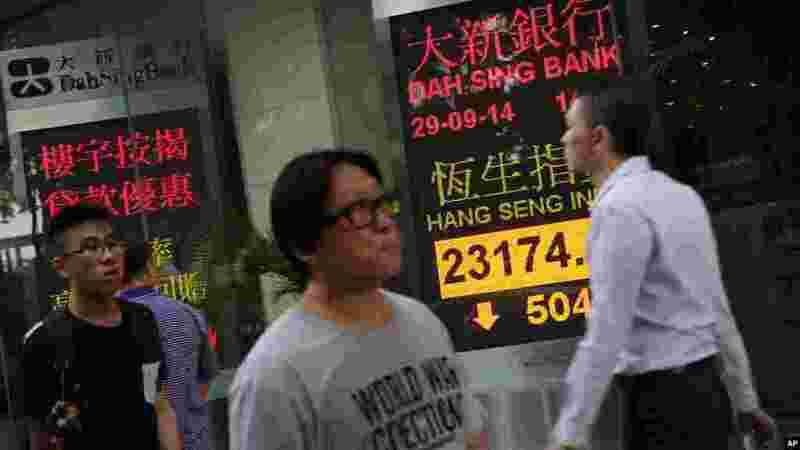 8 People walk past an electronic ticker showing Hong Kong's benchmark Hang Seng Index dropping more than 500 points soon after opening in Hong Kong, Sept. 29, 2014. 9 A volunteer distributes water at a sit-in protest in Hong Kong, Sept. 29, 2014. 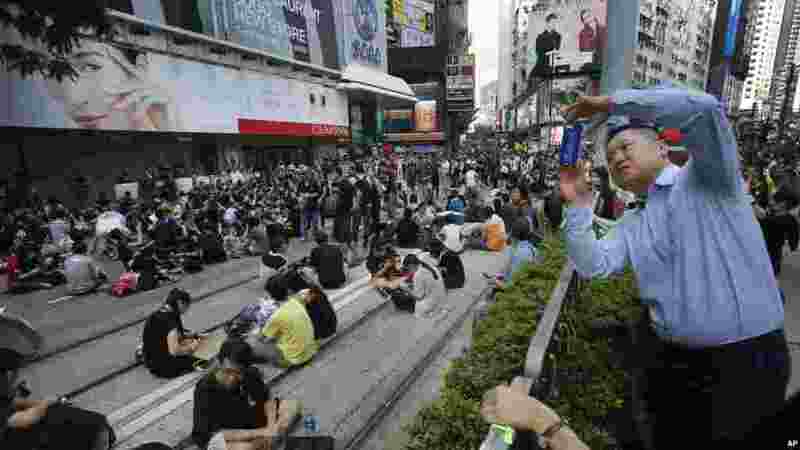 10 A visitor takes a photo of a sit-in protest in Hong Kong, Sept. 29, 2014. 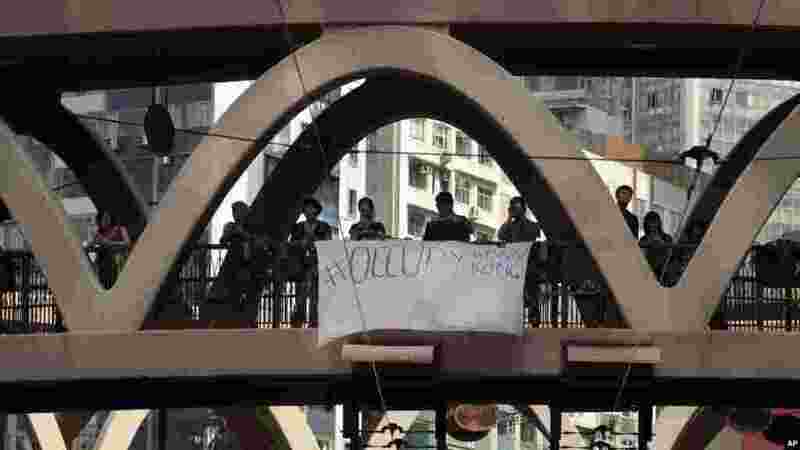 11 A banner calling to "occupy Hong Kong" hangs from a pedestrian overpass above a sit-in protest in Hong Kong, Sept. 29, 2014. 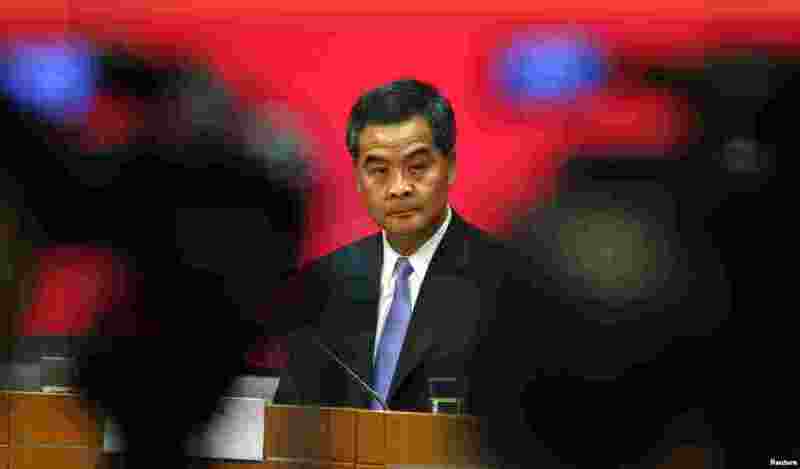 12 FIILE - Hong Kong Chief Executive Leung Chun-ying looks on in between video cameras during a news conference in Hong Kong July 15, 2014.